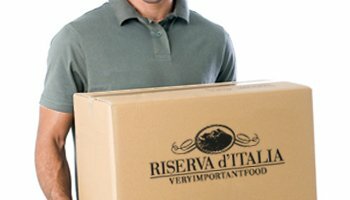 Riserva d'Italia creates exclusive gift packages by selecting high-quality food and wine products that represent the heart of true Italy, the world-renowned for the quality of its cuisine, world-wide appreciated for the care of its products. It is a young company, where passion and research are the engine of our work. We believe that there is something more than a gesture in gifting. Very often the satisfaction in making a gift is greater than that of receiving it. Food is nourishment for the body, pleasure for the palate and sense of satisfaction ... food serves to be better. I have learned this as a child: from my family, who has been producing wine and salami for generations, I have inherited the great passion for good food and good wine. Living and working in Piedmont is not only a source of inspiration, but it makes everything easier, I admit it. I am young and passionate about my work. I have put all my passion in this company and the desire to share it with you. In these packs, you will find the heart of true Italy, the world renowned for the quality of its cuisine, the one universally appreciated for the care of its products. We are in the heart of Langhe, home to good food and excellent wines. A territory made up of history, ancient recipes and ancient knowledge, today rediscovered and appreciated by young people like us who love this land and its heritage. From this wonderful corner of Italy can only be born of our wonderful creations. We deliver worldwide. We only ship with express courier and we can deliver to a single address or address list provided by you. Each Christmas hampers is shipped in a suitable packing suitable for shipment, in order to guarantee delivery of the product in perfect condition.